Brett Keisel hosted the annual 65 Roses Sports Auction tonight, but it was a bit different from previous years. This year he had a special co-host: friend and teammate, Cam Heyward! The event benefits the Cystic Fibrosis Foundation. 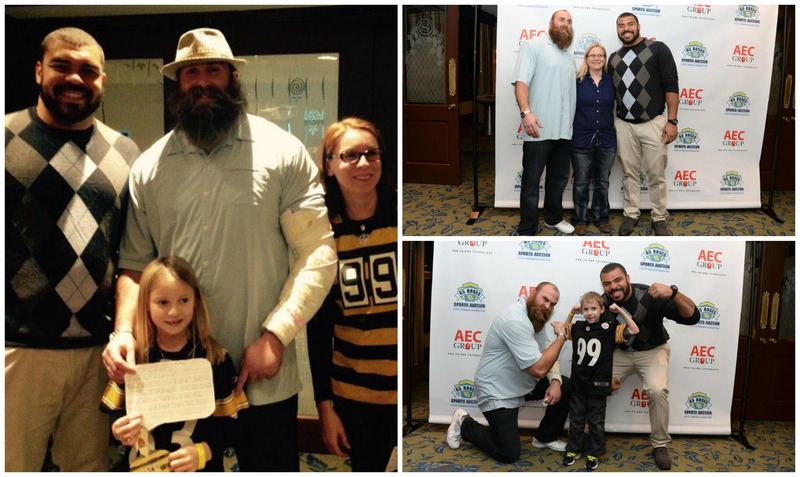 Keisel and Heyward were the perfect tandem this year, greeting guests, signing autographs, along with teammates, for those in attendance and bringing smiles all around. 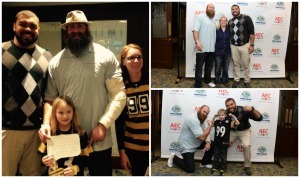 While the main goal of the event is always to raise funds for research in an effort to find a cure for the disease, Keisel and Heyward especially enjoyed spending time with kids that suffer from cystic fibrosis and bonding with them. “When it comes to Brett and what he means to us at the Cystic Fibrosis Foundation, it’s hard to find the words to share what he means and what he has done for us in raising the awareness for the fight against cystic fibrosis,” said Pat Joseph, executive director of the Western Pennsylvania Chapter of Cystic Fibrosis. “He has been there every step along the way and been a phenomenal friend and a great spokesperson for us. We will have more photos posted tomorrow!